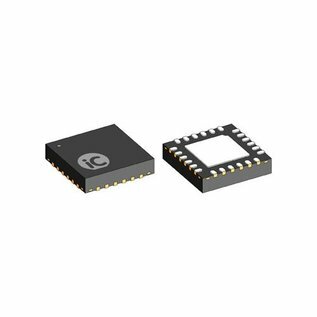 iC-DC is a monolithic switching converter with two back-end linear regulators. The output voltages of the two linear regulators can be configured within a range of 1.5 to 5.5 V. The switching converter supplies up to 300 mA. The high efficiency of the buck/boost converter for an input voltage range of +4 V to +36 V makes iC-DC suitable for industrial applications. Using very few external components, a DC/DC power pack can be created with a stabilized supply voltage and minimum power dissipation.